The Volt is the subject of a formal NHTSA safety investigation. In June, General Motors learned from the National Highway Traffic Safety Administration that a Chevrolet Volt caught fire three weeks after a test crash. Not until NHTSA did additional testing on Volt batteries in November did GM disclose the potential risk -- and tell owners, dealers and the public that it is critical to drain power from the battery pack immediately after a crash. NHTSA, too, waited months to disclose possible fire hazards of the Volt. The agency crashed the Volt on May 12, and a fire on the vehicle broke out in June. The agency first acknowledged the June fire on Nov. 11. And on Nov. 25, NHTSA announced it was opening a safety defect investigation to assess the Volt's battery-related fire risks. The Volt's possible fire hazard has caused a public relations nightmare for a vehicle that GM touts heavily in its advertising. In 2009, when the company was hurtling toward bankruptcy, company execs used the Volt to underpin the case for a taxpayer-funded rescue. GM said it would consider buying back Volts from customers concerned about the fires. In an interview last week with Reuters, CEO Dan Akerson said the company may redesign the Volt's battery. The tendency of lithium ion batteries -- which are used in laptops and cell phones -- to overheat is widely known. And GM designed an elaborate sensing and liquid cooling system to regulate the temperature of the Volt's battery pack, a combination of 288 battery cells. Joan Claybrook, a former NHTSA administrator, said, "Not to tell them anything for six months makes no sense to me. NHTSA could have put out a consumer alert and I think they should have done so." She added, "I believe they delayed it because of the fragility of [Volt] sales." In June, when NHTSA told GM about the Volt fire, GM engineers worked with NHTSA to identify the cause, said GM spokesman Rob Peterson. As its engineers investigated, GM didn't feel it had anything to communicate to the public because it was one fire, occurring weeks after the crash, he said. "It's kind of odd in many respects when a car has an event three weeks after the crash," Peterson said. "The question became: What was making this happen and what do we have to do?" NHTSA said it is working on a standard for dealing with electric car batteries after a wreck. As of now, it's up to automakers to make such guidelines available to the public, NHTSA said. 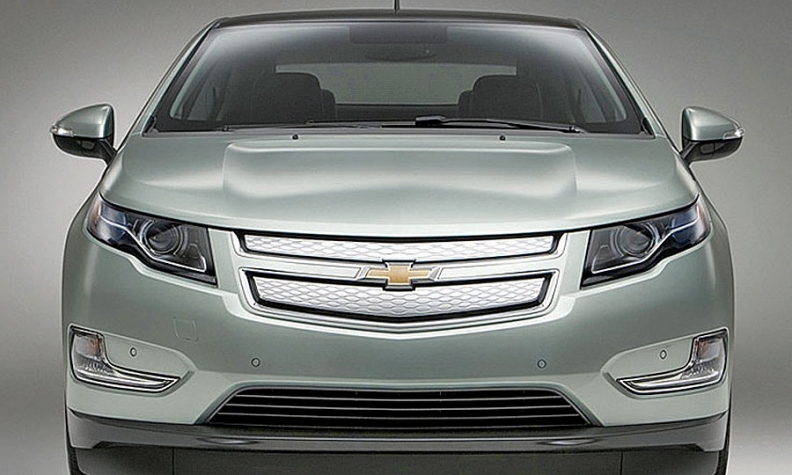 NHTSA's side-impact test damaged the Volt's battery and ruptured the coolant line. Despite the fire, the agency gave the Volt a five-star crash test rating this summer. The rating covers a car's ability to prevent body injuries, and doesn't cover battery fires. In July GM said it formalized a procedure to power down the battery. The car had been on sale for six months. But it kept the procedure to itself as NHTSA, working with GM engineers, continued to crash-test the Volt in an effort to replicate the fire, but without success, GM said. Not until November did further testing in the labs produce a fire. In three tests meant to simulate a side-impact collision, one battery began to smoke and emit sparks within hours after it was damaged; another caught fire in the testing facility. On Nov. 25, NHTSA opened a formal safety investigation into the Volt. Last Monday, GM executives responded to the probe in a conference call with the media. The company also sent letters to thousands of dealers and Volt owners to reassure them that the car is safe. GM also offered free loaner cars to Volt owners concerned about the vehicle's safety, and in the letter to owners and dealers, North American President Mark Reuss tried to reassure them by noting: "I am also a Volt owner, my daughter drives it every day and she will continue to do so." GM said that as of last Thursday, 33 of about 5,000 Volt owners have taken the loaners. Before the Volt went on sale a year ago, GM took precautions to ensure a trouble-free rollout of the plug-in hybrid that was widely considered a breakthrough for the industry. GM, working with the National Fire Protection Association, reached out to firefighters, paramedics and other first responders to offer training on how to handle a Volt after a wreck -- more than six months before the car went on sale. First responders were told to turn off the vehicle and disconnect the battery. According to Andrew Klock, a project manager for the fire association, first responders weren't alerted to the battery depowering procedure until after the public announcement last month. Nissan Motor Co., which began selling the Leaf electric car about the same time as the Volt went on sale, has its own guidelines for dealing with the battery after a collision, which it shared with first responders and dealers before the Leaf went on sale. Those procedures don't include depowering the battery. Nissan said depowering the battery is not necessary to prevent fires. NHTSA crash-tested the Leaf this summer without incident. But the company was later contacted by NHTSA for additional information on the battery's design and post-crash handling procedures after the agency had a problem with another unspecified electric vehicle, said Bob Yakushi, director of product safety for Nissan North America Inc. The Insurance Institute for Highway Safety -- a research group funded by insurers -- crash-tested the Volt in February, said spokesman Russ Rader. None of its tests resulted in fires, but when the organization crashed the Volt on display at its building in August, GM sent a technician to power down the battery, Rader said. Clarence Ditlow, executive director of the Center for Auto Safety in Washington, said he was surprised that NHTSA didn't depower the battery after the first test in May, since it is standard procedure to drain fuel out of a conventional gasoline-powered vehicle. He added that the incident raises questions about setting industrywide guidelines for new technologies, and underscores the need for more transparency when fire risks arise. "You have an interesting issue here because they didn't disclose it immediately," Ditlow said. "You're in uncharted waters here with NHTSA." NHTSA said it has since asked all automakers with EVs on sale or coming to market to share with it their procedures for handling lithium ion batteries after a crash. The agency also is working with the fire association and the U.S. Department of Energy on developing industrywide standards for handling and storing lithium ion batteries after a crash. "Ultimately we hope the information we gather will lay the groundwork for detailed guidance for first responders and tow truck operators for use in their work responding to incidents involving these vehicles," NHTSA said in a statement. GM's Peterson also said the fires have been a teaching moment for the automaker. GM is also working with NHTSA and SAE to develop standards for all EVs involved in crashes. "You put in place one protocol for the industry," he said. "You don't want to put in place all these different protocols because that will just confuse everyone."